The word happiness(noun) is about having, showing, or causing a feeling of great pleasure, contentment, and joy. The word glad implies a strong, exultant feeling of joy. Being cheerful requires a steady display of bright spirits or a condition of rejoicing. The term ‘bliss’ can be used to describe the perfect condition of total happiness and in the Indian language of Sanskrit the word “ANANDA” describes the perfect state of existence while experiencing pure happiness, joy, or bliss. It is easy to describe happiness while it could be difficult to find happiness. The reason is that of finding circumstances that favor or cause the feeling of happiness. The problem is, man’s experience of happiness is affected by both outward and inner circumstances beyond his control. The pursuit of happiness can be granted as a Constitutional Right and yet there is no guarantee that man may find the happiness that he desires in his living experience. Arthur Schopenhauer stated: “It is difficult to find happiness within oneself, but it is impossible to find it anywhere else.” While happiness is an inner experience, it is formulated by the external circumstances found in a given place, at a given time, and in a given environment. Happiness cannot be discovered and people cannot find happiness until the external circumstances favor the experience of happiness. If the circumstances that do not favor the experience of happiness cannot be changed, man experiences stress and has to use coping mechanisms to deal with those unhappy circumstances. The ability to cope with unhappy circumstances may not be viewed as a state of having, showing, or causing a feeling of great contentment, pleasure, and joy. 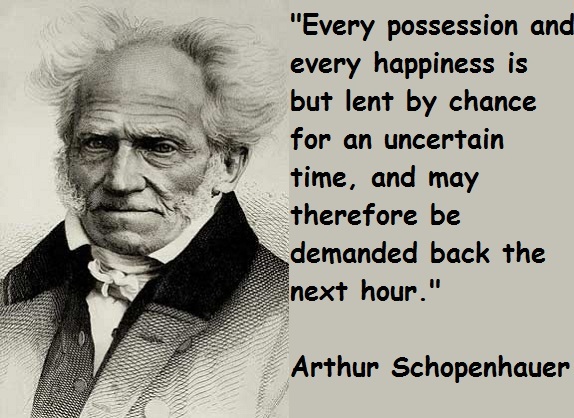 I am not inclined to say that Schopenhauer taught a ‘pessimistic’ view of human existence. He placed emphasis on human will and he considered that pleasure is simply the absence of pain. 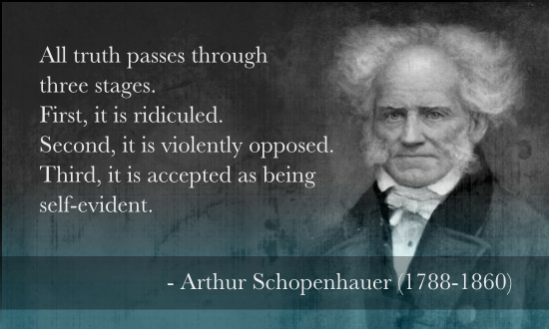 Schopenhauer lived a solitary life from 1831 until his death in 1860 and for about 28 years of his life he was resentful at the world’s failure to recognize his genius. Fortunately for him, his works received international recognition during the final years of his life and provided him the experience of some happiness. WholeDude – WholeDesigner – Whole Happiness: There is a fundamental problem with man’s experience of happiness. Man has no choice other than that of interacting with the circumstances of a given environment in which he exists at any given time. Will is the term used in philosophy and psychology to describe the faculty of mind that may play a role to stimulate motivation of purposeful activity. Will is a motivating force and is related to other words such as wish, desire, appetite, impulse,choice, purpose, and it involves converting a thought into action. Will also includes the power of controlling one’s own actions. The Theory of the Will and the Freedom of the Will have been variously interpreted. Plato, Aristotle, Thomas Aquinas, Descartes and Kant describe Will as personal faculty or function. Spinoza, Leibniz and Hume describe Will as the externalized result of the interaction of conflicting elements. Hobbes, Schopenhauer and Nietzsche describe Will as the manifestation of personality. The religious doctrine of Determinism does not affirm the reality of individual’s Will. Modern Psychology considers the concept of Will as unscientific and human actions are explained on the basis of unconscious motivation. WholeDude – WholeDesigner – Whole Happiness: Arthur Schopenhauer described the World as a constant conflict of individual ‘wills’ resulting in frustration and pain. Pleasure is simply the absence of pain and can be achieved only through the renunciation of desire. I may be able to control my desires and it may not defend me or prevent another individual exercising his Free Will to take action that will deny me the experience called Happiness. What is the Truth or What is the reality of Happiness??? During 1813-14, Schopenhauer was introduced to the teachings of Indian antiquity – the Indian Philosophy of the Vedas and their interpretations in texts called the Upanishads. It gives me a very good reason to share his views about human existence and about man’s purpose in life. Schopenhauer viewed the entire world is the representation of a single Will of which our individual wills are phenomena. He used the word will to describe desire, striving, wanting, effort, and urging. Man is the expression of insatiable will to life. It is through the will that mankind finds all their suffering. Desire for more is what causes this suffering. Schopenhauer claimed that our world is driven by a continually dissatisfied will that is continually seeking satisfaction. He tried to account for the world in all its significant aspects. He considers the pain and striving of the human condition and the possibility of deliverance from it. WholeDude – WholeDesigner – Whole Happiness: How to Find Happiness in Each Day of Human Existence??? Schopenhauer explained that human “WILL” exists outside Time, Space, and Causality. Schopenhauer agrees with Immanuel Kant about human perceptions of the world in which man exists. But he equated Kant’s “thing-in-itself” with a blind impelling force manifesting itself in individuals as the “Will” to live. 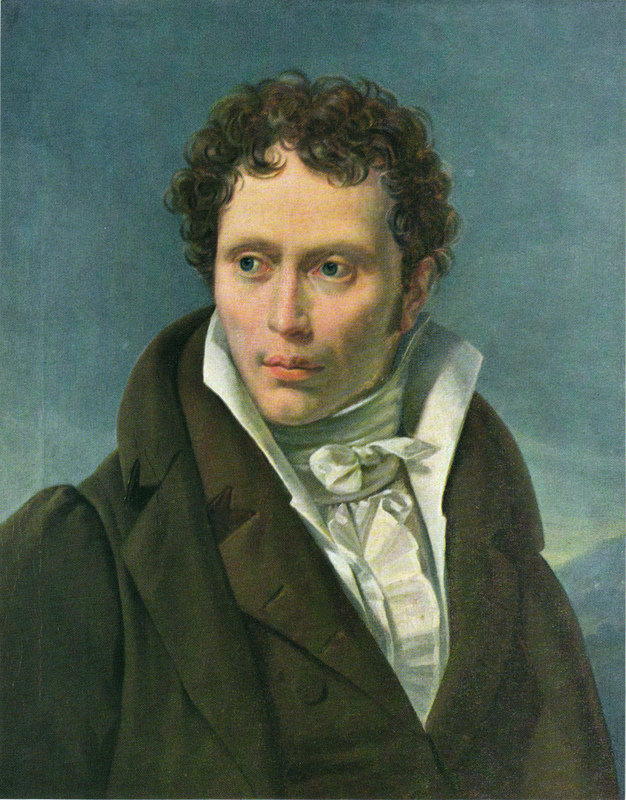 Schopenhauer’s most important work is “The World as Will and Idea”(1818-19) and a revised edition titled “The World as Will and Representation.” His doctrine of the Primacy of the Will also emphasizes the irrationality of Will. The Will(“thing-in-itself”) is not perceivable as a presentation and it exists outside Time, Space, and Causality. He viewed inner experience as intuited through the Will as the most important form of experience. He tried to understand the relationship between human will and human body. Man can go beyond simple perception to know the ultimate reality called the “Will” through which man is compelled to act to express love, hate, desire, and rejection. Although the Will is entirely real, it is not free nor does it have any ultimate purpose. According to Schopenhauer, human will is all-consuming, pointless, and negative. There is also no escape from the Will as manifested in Nature; the expressions of Will are seen throughout the natural world as in the struggles of animals, the stirring of a seed, and the turning of a magnet. Schopenhauer comes to the conclusion that the purpose in life must be that of escaping the Will and its painful strivings. The arts, especially the Art of Music with their “will-less perception” provide a temporary haven. The only final escape is through the “turning of the Will against itself”, a mysterious process that results in Liberation by causing the sheer extinction of the Will. The Indian School of Thought called ‘The Karma – Yoga’ or ‘The Yoga of Action’ describes that man has no choice and cannot avoid action and it recommends the renunciation of the desire to experience or tasting the fruits of one’s own actions. WholeDude – Whole Designer – Whole Happiness: In my view, Life cannot be explained on the basis of uncaused, self-caused, unguided, random, and spontaneous actions or events. Life, the striving, the desire, the ‘Will’ is action towards a goal. Most living functions of the human organism are performed by independent, autonomous units called cells that perform goal-oriented actions without the use of man’s imagination or thought. In my view, Life cannot be explained on the basis of uncaused, self-caused, unguided, random, and spontaneous actions or events. If Life has a goal or purpose, it primarily involves the striving or desire towards the goal or purpose to maintain the condition called existence. The human organism comprises of trillions of individual, independent, autonomous units called cells that perform the living functions without any assistance from the imagination or thought of the man who lives in the world because of those living functions. Human existence cannot be explained on the basis of human will to exist if that human will is dependent upon human thought and imagination. The human being does experience desires and man indeed takes action to respond to those desires. However, the experience called happiness depends upon a factor called ‘Contentment’. It is the factor which determines the degree of gratification that is needed for producing the effect called ‘Satisfaction’. Man can choose to set the bar called Contentment at a high or low-level and experience the effect called Satisfaction while seeking the gratification of his desires. There is no “Whole Happiness” until there is Satisfaction of the desires. To conquer the insatiable enemy called DESIRE, to achieve the effect called SATISFACTION, man must overcome the organs of sense perception, the mind and intellect which are the sitting places of Desire. In my view, there is “Whole Happiness” if and only if man has fully recognized the existence of his relationship, partnership, connection, and association with an external source of “Whole Happiness.” I describe Spirit and Soul as the material principle that establishes man’s relationship with the external source of Happiness and thereby sustains man’s desire to live or to have life. Man is a Spiritual Being who can use his Spirit and Soul to exercise control over his mind, intellect, and senses to manage the feelings, the cravings, the urge, and the inner strivings that could manifest as Free Will and provide motivating power to translate thoughts into actions performed in the external world. WholeDude – WholeDesigner – Whole Happiness: The word Sunshine means the light and heat from the Sun and Sunshine is used to describe the feeling of Cheerfulness and Happiness. To have a true or real experience of Happiness, man needs an external source of Happiness. Whole Happiness, Pure Joy, and Perfect Bliss is a condition that demands connection, relationship, partnership, and association between man and his external source of support that formulates the conditions of human existence. 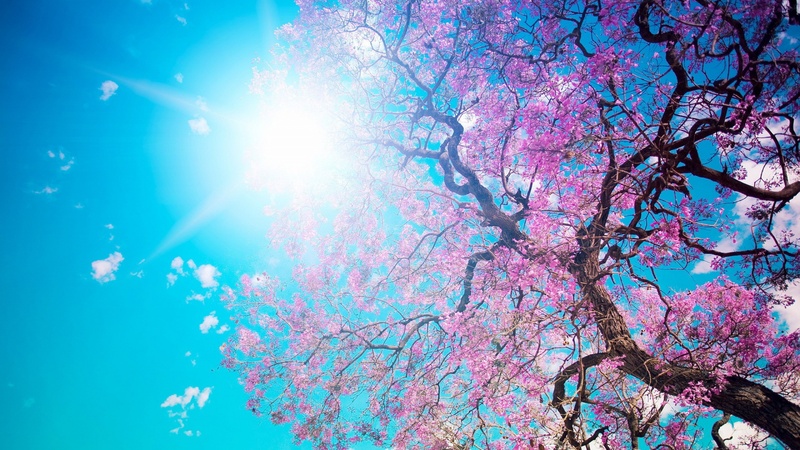 In other words, man finds the experience of Sunshine, Cheerfulness, and Happiness under the influence of an external source of Whole Happiness.